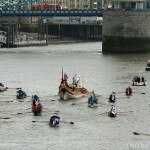 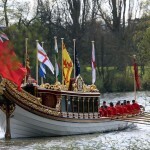 THE NEW Lord Mayor of London will be rowed down the Thames on board the Queen's row barge Gloriana this weekend. 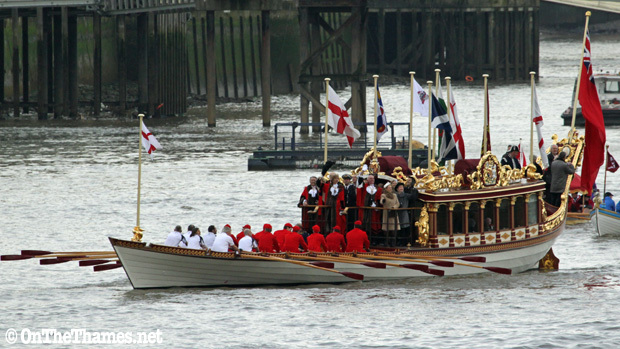 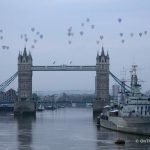 A flotilla of traditional Thames vessels led by Gloriana will depart from Westminster Boating Base at 8.30am and pass through Tower Bridge, raised in salute, at 9.25am on Saturday morning. 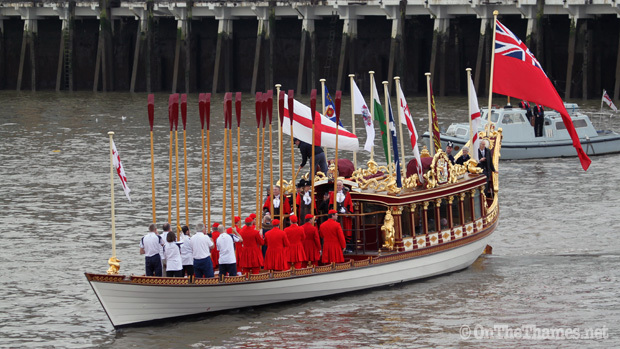 The new Lord Mayor of the City of London, Alan Yarrow, will disembark Gloriana at HMS President, Wapping, and be driven to Mansion House where the Lord Mayor's show parade begins from. 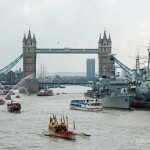 The colourful, spectacular Lord Mayor's show processes through the City of London during the afternoon, culminating in fireworks launched from a barge moored between Blackfriars and Waterloo bridges at 5.15pm. 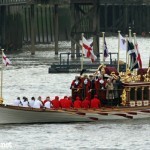 The tradition of the new mayor travelling down the river on Lord Mayor's Day - famously captured in paint by Canaletto - has been revived in recent years after Gloriana was built for the Queen's Diamond Jubilee in 2012. 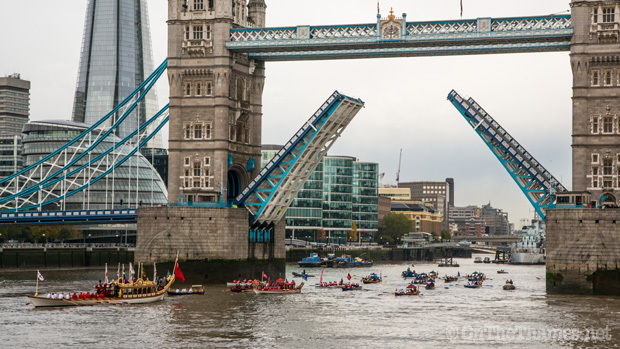 A photo of last year's Lord Mayor's Thames flotilla appears in the On The Thames 2015 calendar.